Sony says that the A1 and AF8/A8F models, after the latest firmware, now employ the same dimming algorithm for improved performance. A report from FlatpanelsHD documents how the dimming algorithm works. 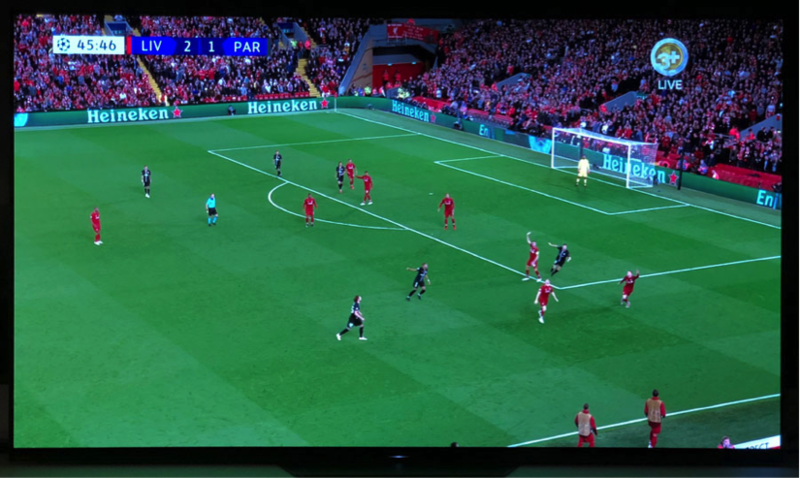 Frustrated Sony OLED owners have been complaining about persistent dimming issueswhenever static elements (gameplay HUD, scoreboard) are present in the picture. The problem was introduced with a firmware update more than half a year ago in the US and later in Europe. In July 2018,Sony publicly acknowledged the problem and promised to fix it. The latest firmware assuaged the problem for many owners of the A1 model, but some owners maintain that dimming is still happening in some form or another, mainly during sports or gaming. Sony sent FlatpanelsHD, a statement, explaining that the latest firmware update has streamlined how the dimming algorithm works in A1 and AF8/A8F. It should now be identical. “Thank you very much for turning our attention again to the reports of the Sony OLED dimming issues. We are aware that the dimming algorithm to keep product reliability on the A1 introduced via the v6.2858 firmware upgrade in some use cases may have appeared too severe as reported by some of our customers. As part of the firmware upgrade v6.5629 we have included a fix that unifies the A1 and AF8 dimming algorithms, so in the same viewing conditions the former should perform exactly the same as the latter,”Sony Europe said in a written statement to FlatpanelsHD. The company added that the firmware meant to improve dimming behavior is rolling out gradually so it may not have reached all affected Sony OLED TVs yet. Sony concluded by emphasizing that it continues to research reported issues. Sony has not detailed how the current dimming algorithm in A1 and AF8/A8F works, so FlatpanelsHD conducted tests and measurements to document the algorithm’s behavior. The following graph shows that, initially, brightness drops to around 45 nits after 2 minutes without a replay cutscene during the game (measured after 2 minutes). After the replay cutscene, brightness jumps to around 75 nits. All of the big drops are cutscenes and the sudden peaks after cutscenes are caused by fly-over graphics. Towards the end, the onset of dimming occurs from around 75 nits towards 45 nits (but interrupted by replay cutscene). It took approximately one minute. The scoreboard did not cover the sensor 100%, which is why some mild fluctuations in brightness appear throughout the graph. This dimming behavior may also occur for other types of content with static elements (for more than 30s), for example gaming, but it will ultimately depend on viewing patterns. It is not clear exactly how large/small the static element must be in order to trigger the dimming algorithm. The effect was almost imperceptible to the naked eye but the real-time measurements were able to show how the algorithm works.